U.S. Secretary of State John Kerry warned China against declaring a South China Sea ADIZ. “We would consider an ADIZ… over portions of the South China Sea as a provocative and destabilizing act which would automatically raise tensions and call into serious question China’s commitment to diplomatically manage the territorial disputes of the South China Sea,” Kerry said in Mongolia, where he is on a state visit ahead of a trip to China. “We urge China not to move unilaterally in ways that are provocative,” Kerry added. Kerry’s remarks coincided with the Shangri-La Dialogue, which took place over the weekend in Singapore and is Asia’s premier security forum, drawing leaders from across the region. At the forum, Admiral Sun Jianguo, deputy chief of the Joint Staff Department of the Central Military Commission of China, delivered remarks defending China’s position over the South China Sea disputes. Tensions are high between the United States and China over the South China Sea ahead of their annual Strategic and Economic Dialogue. The eighth iteration of that dialogue is slated to begin soon and will cover the gamut of issues in the U.S.-China bilateral relationship. Moreover, regional states and the United States alike are eagerly awaiting the Permanent Court of Arbitration’s verdict in Philippines v. China; the verdict will likely assess the status of several disputed features in the South China Sea and potentially China’s ambiguous nine-dashed line claim. Regional security observers have speculated since late 2013, when China declared an ADIZ over the East China Sea, that Beijing could take a similar move in the South China Sea. 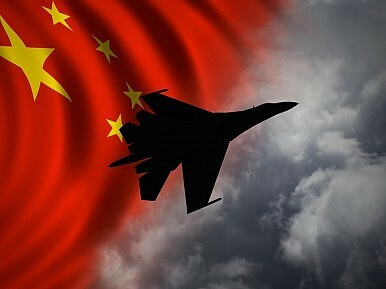 Last week, in a longer post, I assessed the reasons why it’s probable that China would look to implement an ADIZ there. However, it’s far from clear that Beijing would benefit directly from an ADIZ or that the Chinese military is adequately equipped to enforce an ADIZ over the South China Sea, despite the construction of new airstrips on artificial islands in the Spratly Islands. Though the United States takes no position on the sovereignty of individual features in the South China Sea, Washington favors maintaining the freedom of navigation and overflight in the region in line with international law. Accordingly, starting in October 2015, the United States Navy began conducting regular freedom of navigation operations. China accused the United States of flaunting its military force over the South China Sea following the flights.